OWINGS MILLS, Md. — There’s a new option for those in need of home improvement supplies in Owings Mills. 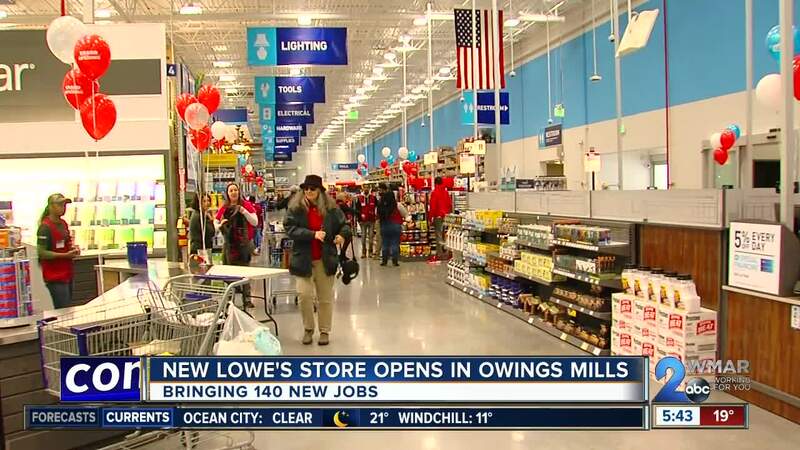 The national hardware chain Lowe's opened its 29th store in Maryland at 10280 Mill Run Circle, near the AMC Theater. The company says the new 94,000-square-foot store should create an additional roughly 140 jobs for Baltimore County, most of which should be full time. They’ll join the approximately 2,400 people Lowe's already employs in the state. For those eager to begin spring projects, the store also boasts a 4,100 square-foot garden center.